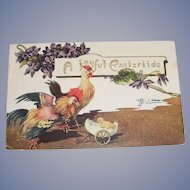 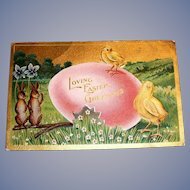 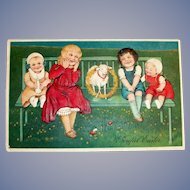 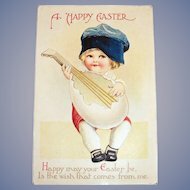 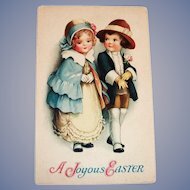 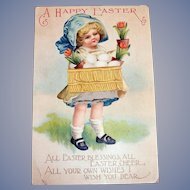 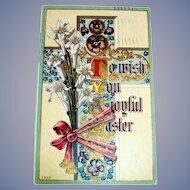 For your consideration is a darling vintage Easter postcard titled: "Easter Greetings." 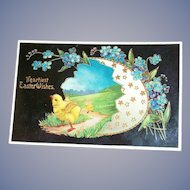 It displays 2 darling little yellow chicks sitting among some lovely purple violets inside of a light blue egg trinket box with shiny gold tone filigree trim. 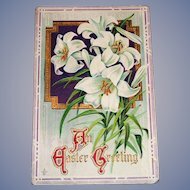 It is marked on the back: Made in Germany, Serie 742. 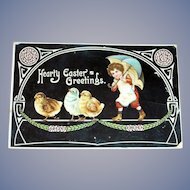 There is writing on the back, however, this is a unposted postcard. 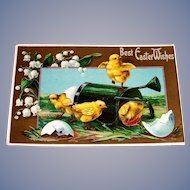 No postmark or stamp. 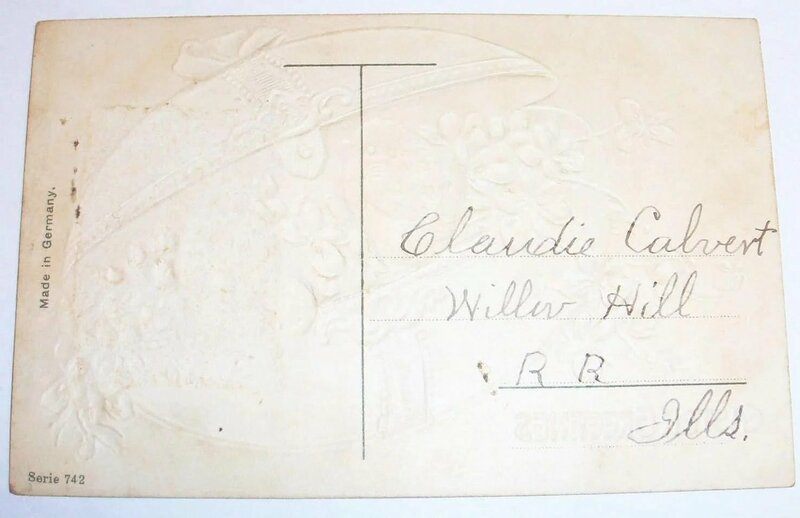 It is approximately: 3 1/2"W X 5 1/2"L.
There is some lightly scuffed corners and on the back left side there is some light black little dots. 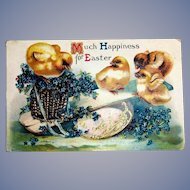 Also, the postcard has yellowed very lightly on the back. 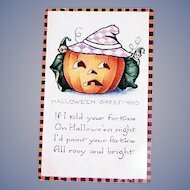 All flaws mentioned are minor & only mentioned for accuracy! 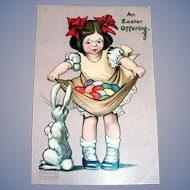 Otherwise! 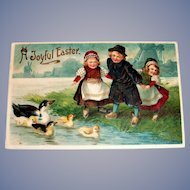 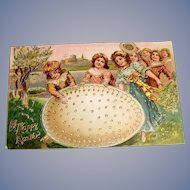 This postcard is in very good, vintage & collectible condition. 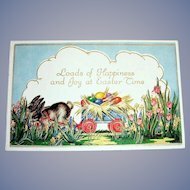 SPRING CLEANING SALE!! 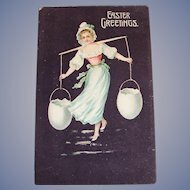 Many Items In Our Shop Are On Sale & Many More Items To Be Added!